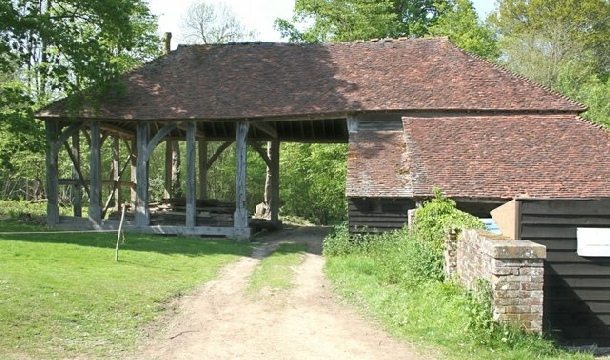 The barn at Scotney Castle is just a few yards from the car park. I didn’t know there was a barn there and I don’t think it’s supposed to be part of the visitor attractions. It’s rather interesting though, because it has no cladding on three sides, so you can clearly see its structure. It’s a five bay barn of post and queen-post truss construction with no aisles, a central midstrey and clay tiled roof. 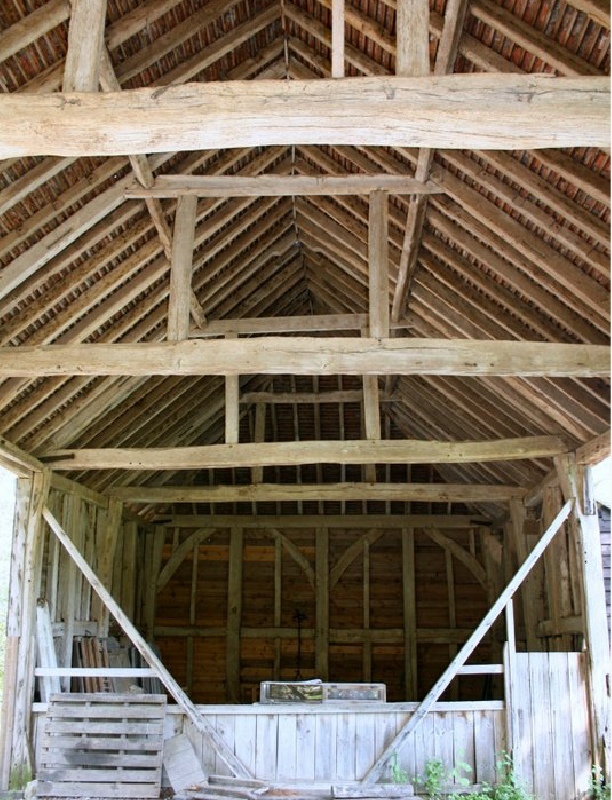 The queen-posts support a light collar-beam with clasped purlins.